Today we'll take a look at something more feminine than last Friday - a Fabergé Eternity Brooch, made sometime between 1899 and 1908! 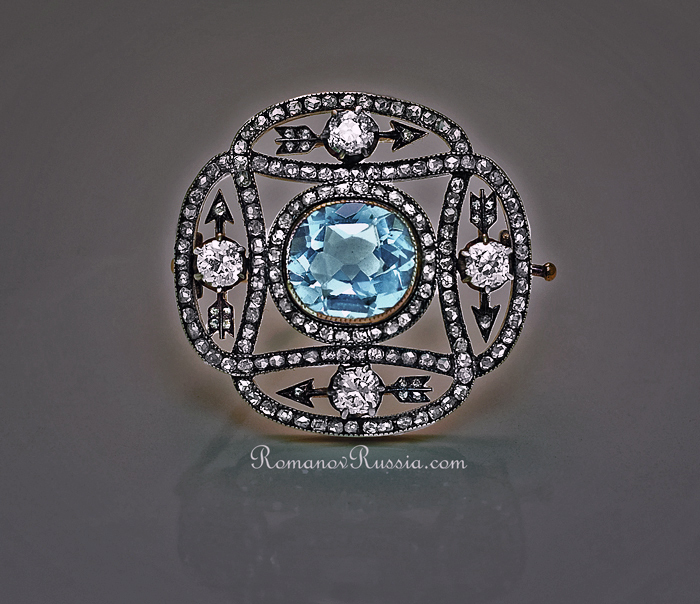 The brooch is designed as an open work plaque, with a collet-set aquamarine set in the middle. 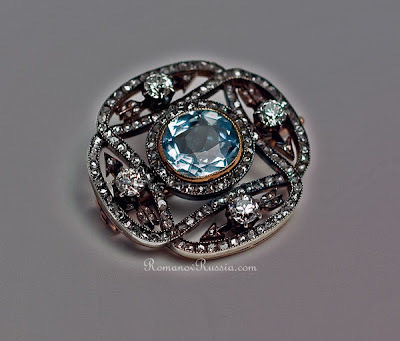 The frame around it is made as two interlaced loops, set with rose-cut diamonds. Inside the four loops surrounding the center are four arrows - each set with an old brilliant-cut diamond - representing eternity. 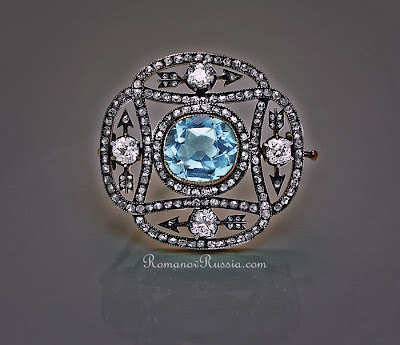 The brooch is 1 1/8 inches (3 cm) wide, and can be bought at Romanov Russia for 65,000 USD. This is absolutely awesome Miss Meadows! 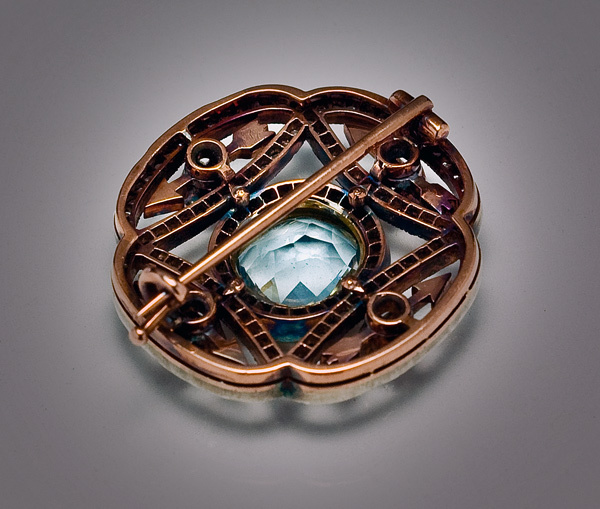 I adore the idea of brooches, there's something Irish about them that is just awesome, I'd love to buy this bad boy but it's probably a little too expensive right now haha.